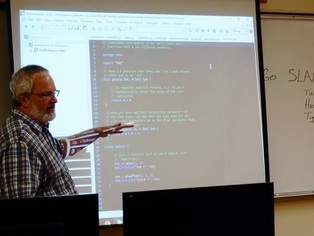 10:00-11:00 leafproject.org Artificial Intelligence Special Interest Group - Dr. Bruce discusses AI topics. 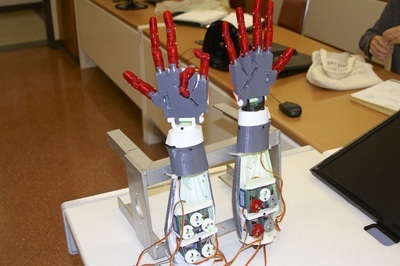 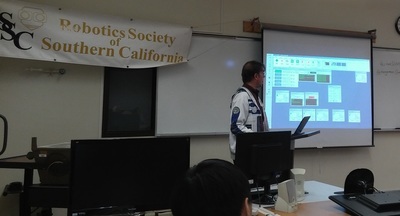 Dr. Bruce talked about HectorSLAM -Heterogeneous Cooperating Team of Robots. 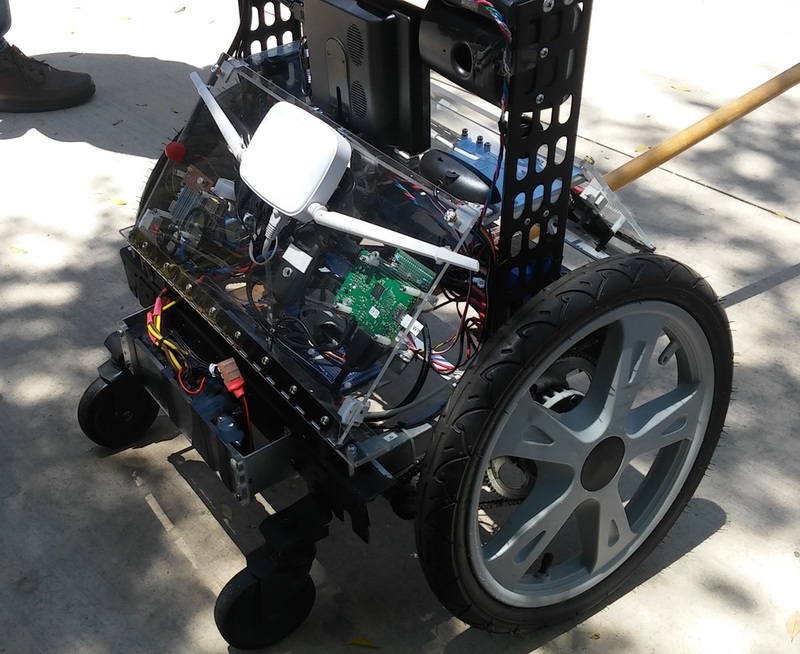 ​1:26 Outdoor Robotics Contest: There were three contestants. 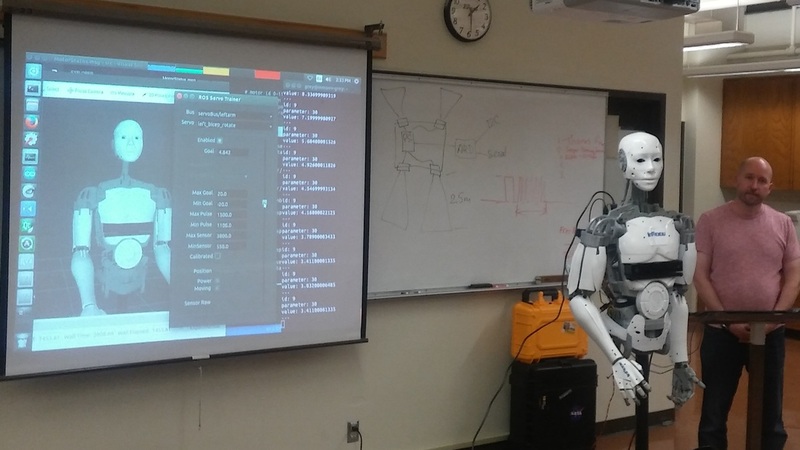 Only one robot worked. The winner was Justin and his orange color modified RC truck with a custom multi-core, multi-thread board. 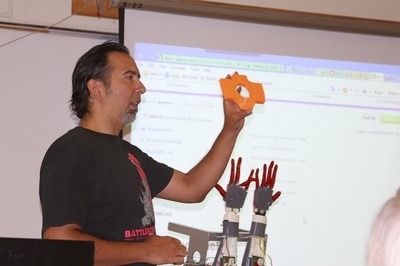 ​1:45 Justin who won the Outdoor Robotics Contest talks about his robot and how it works. 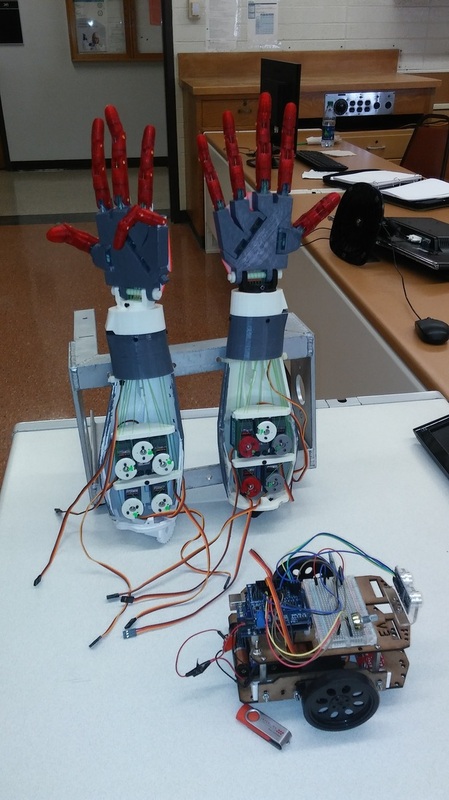 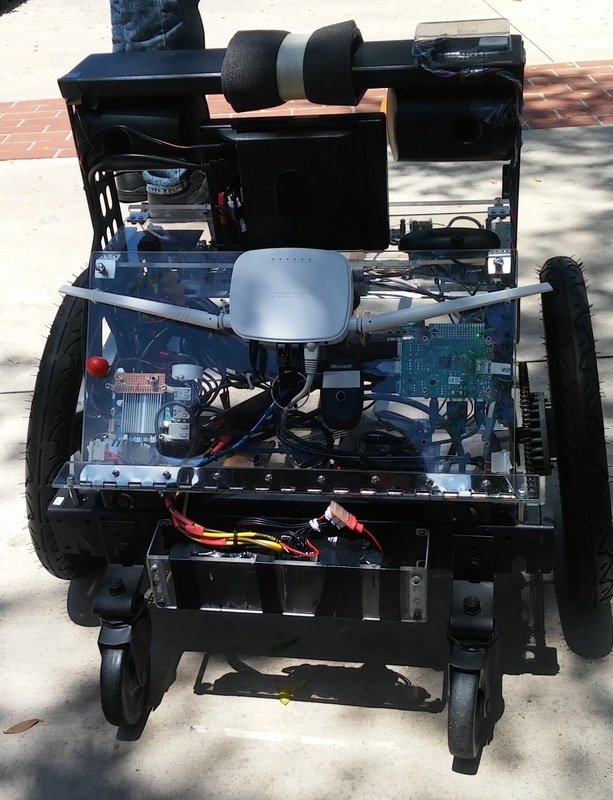 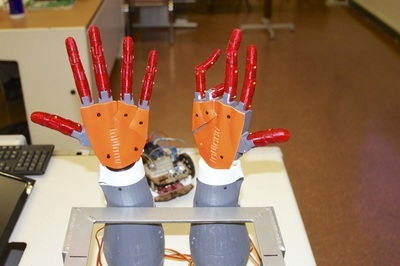 He has custom made hall effect sensors, mutli thread programming, IMU and uses odometry to complete the course. 2:27 Alan gave us a great project update on his InMoov robot project. Alan is now using ROS and very fast MiniITX computer motherboard/video card with GPU. 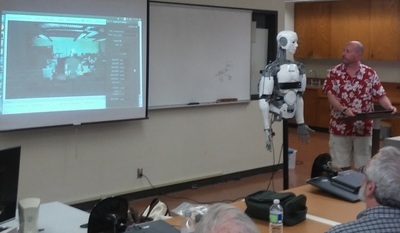 Alan has his Microsoft Kinect One working on his InMoov robot and did an amazging presentation of hi progress. 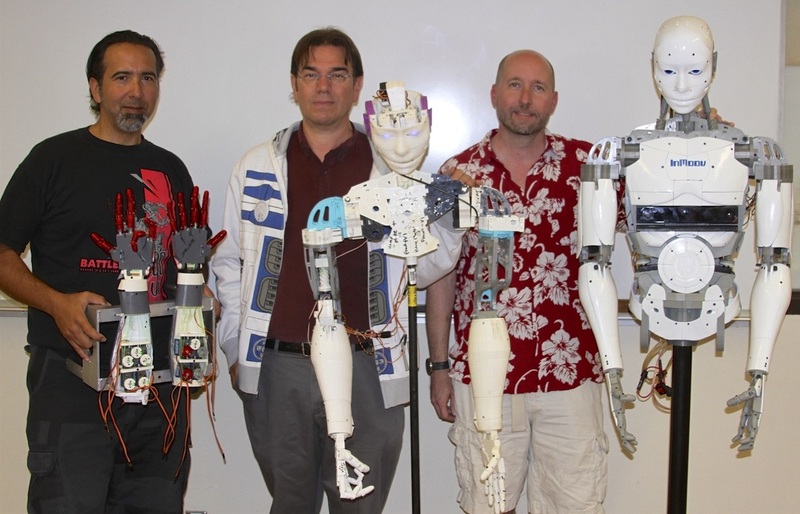 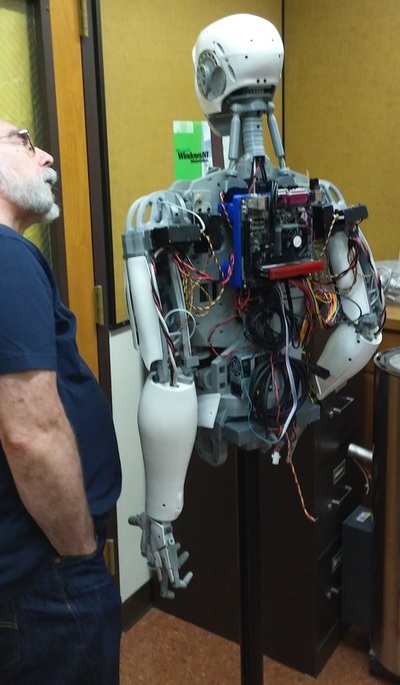 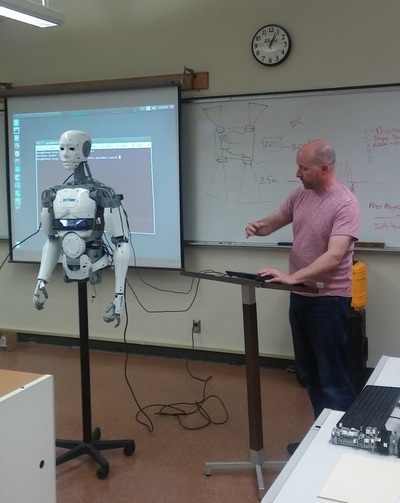 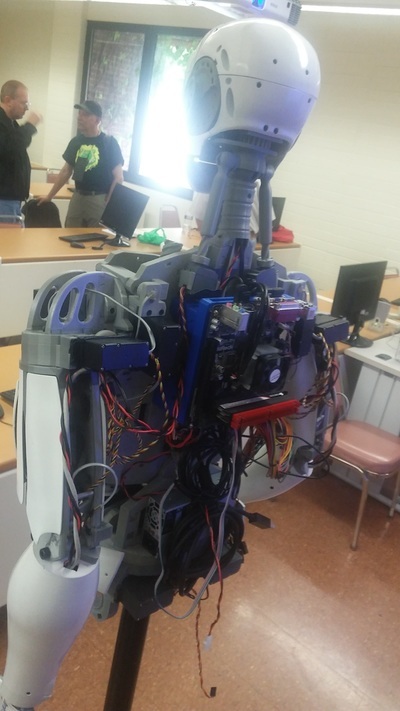 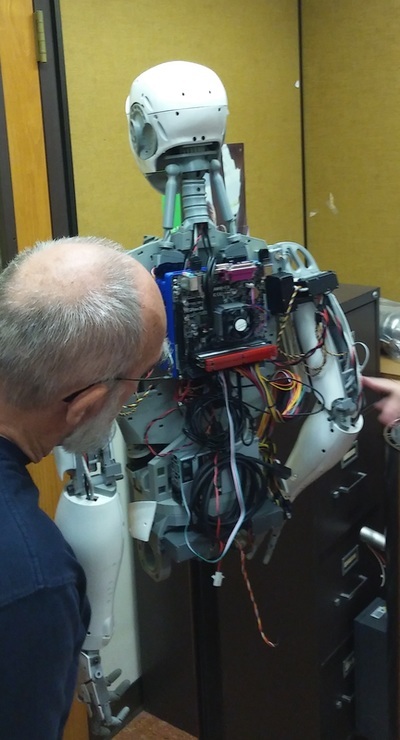 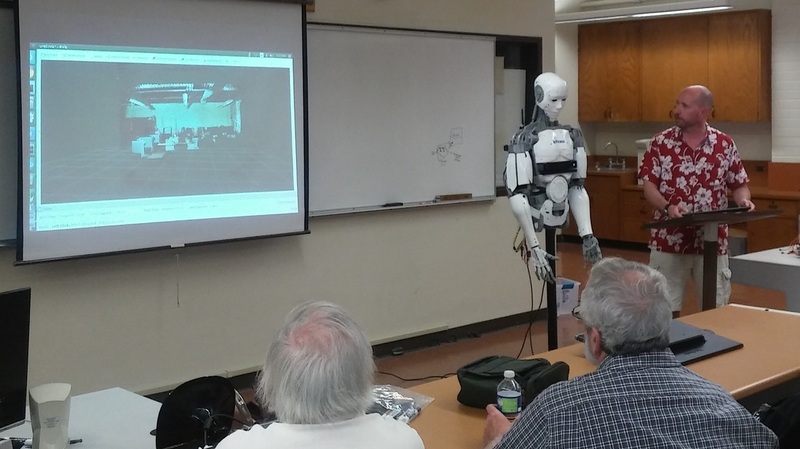 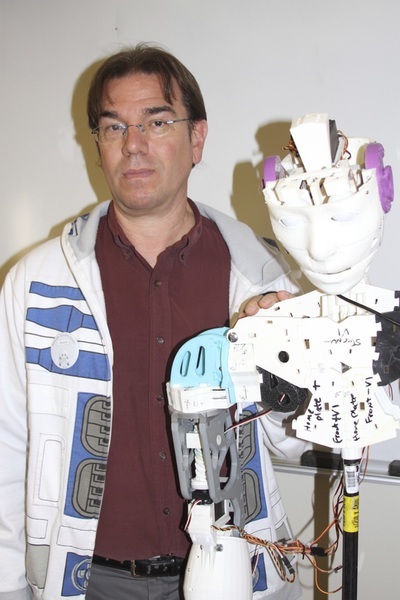 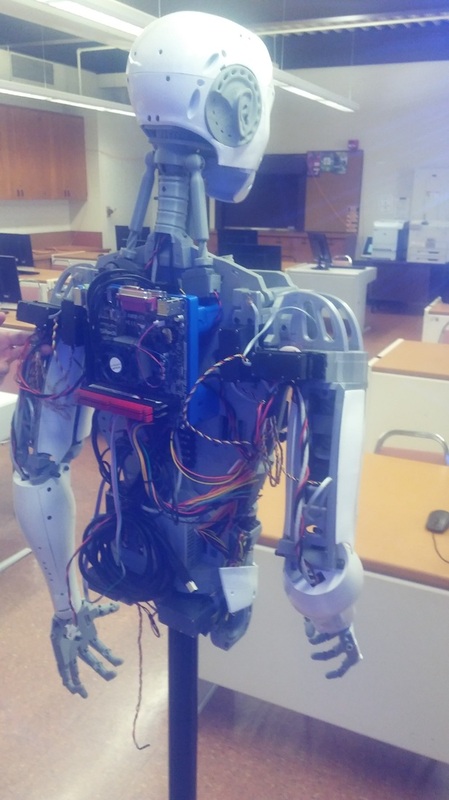 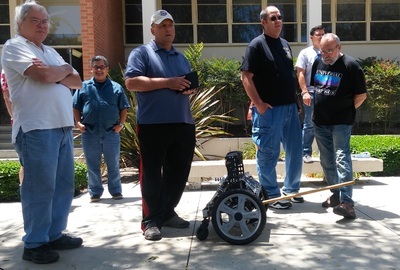 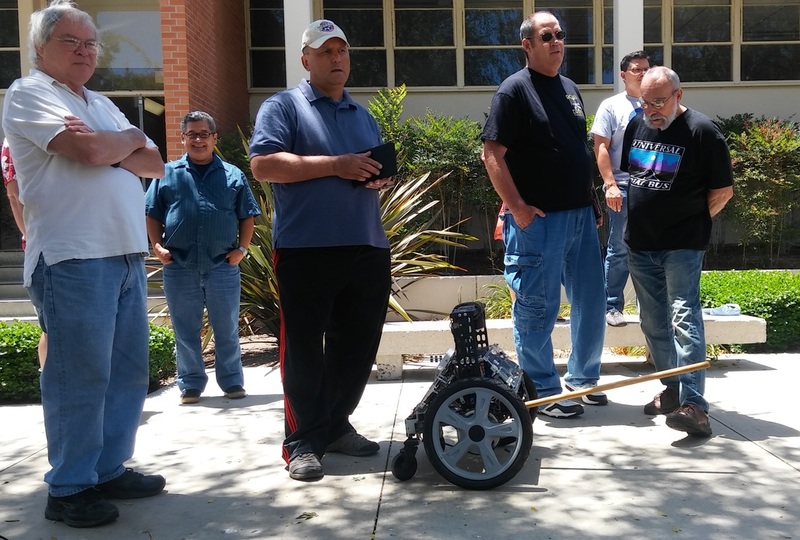 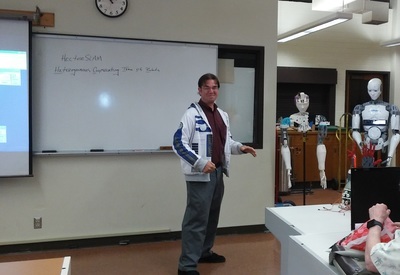 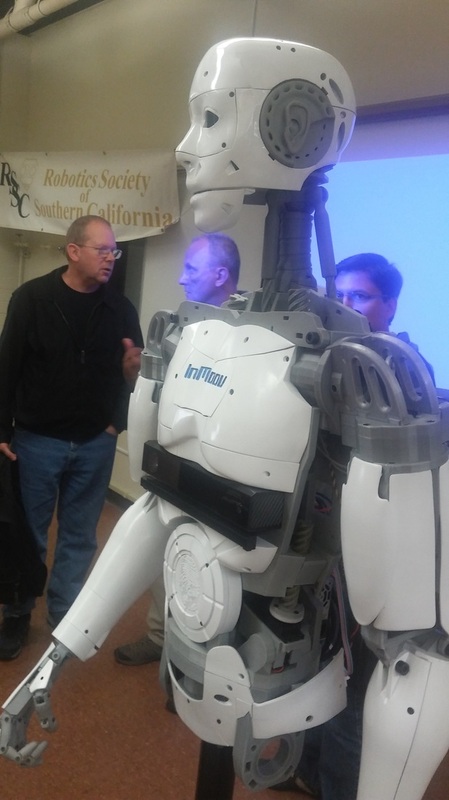 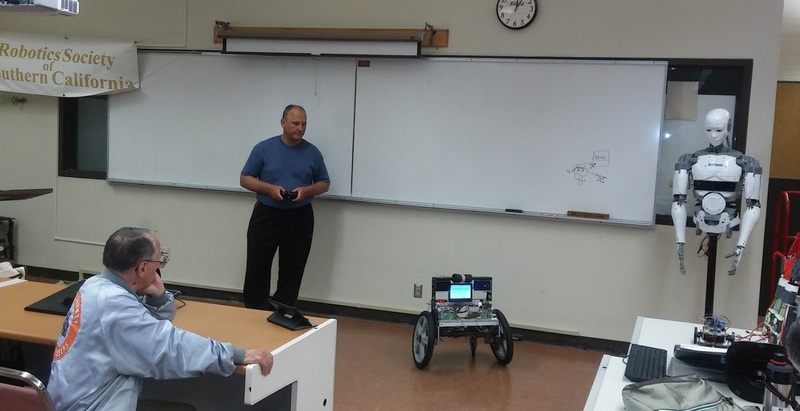 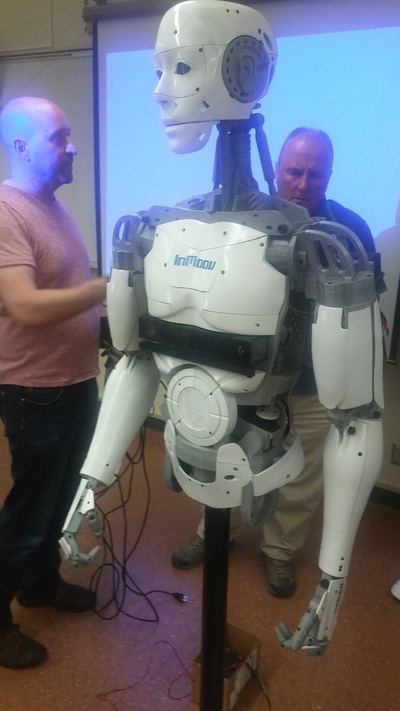 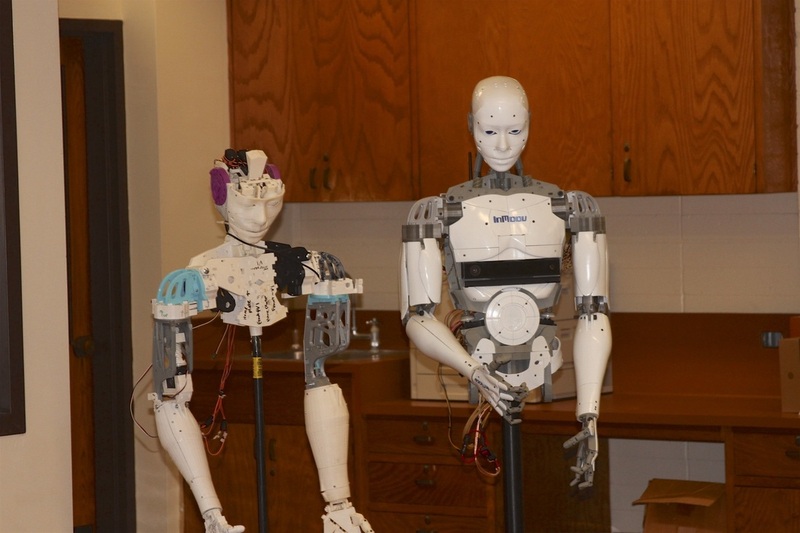 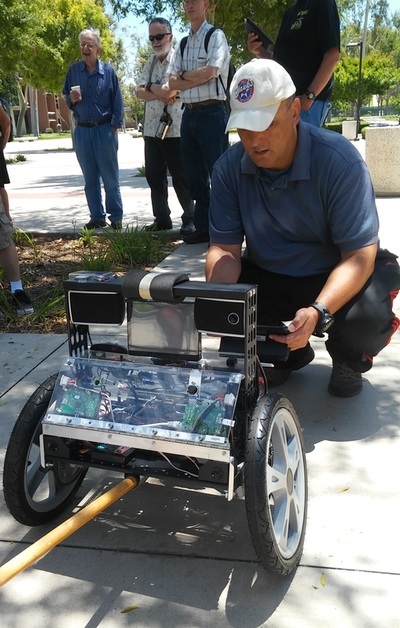 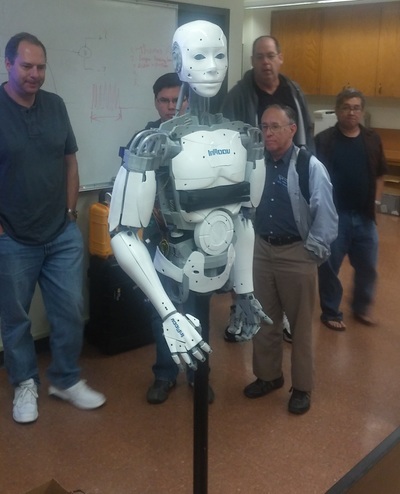 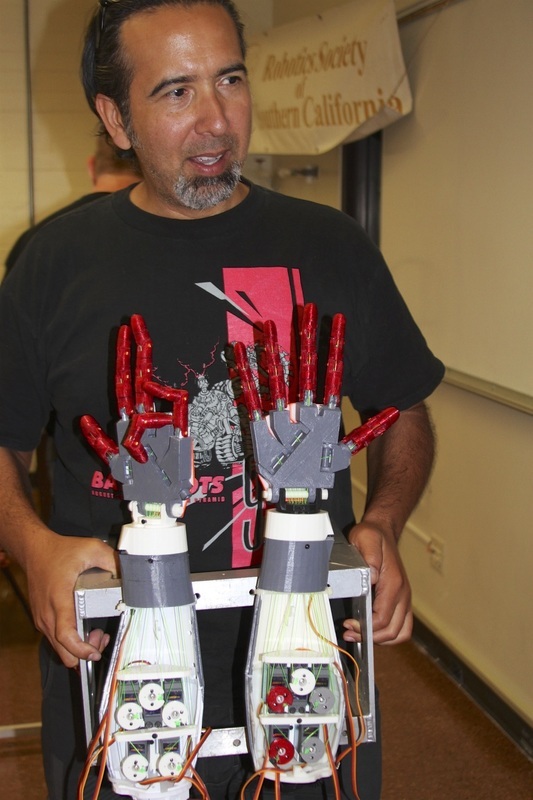 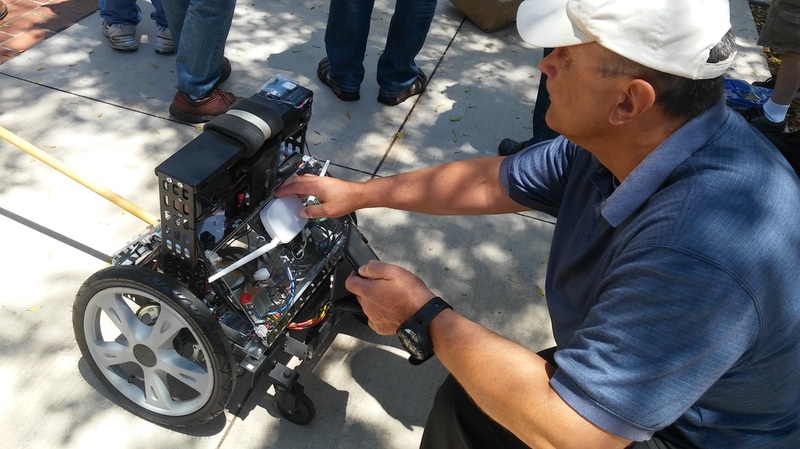 Photos of Alan's InMoov from June 2016 meeting. 2:45 Thanks for attending the meeting!